At a flea market in Florida, I happened upon a tiny booth crammed with jewelry. An elderly lady smiled and welcomed me into her carefully coordinated world of design maximalism. Rhinestone pins covered the padded walls and massive piles of necklaces, arranged by color, threatened to slide off the tables. It was like a picture from a children's book; a treasure chest opened on the bottom of the ocean or Ali Baba's cave. 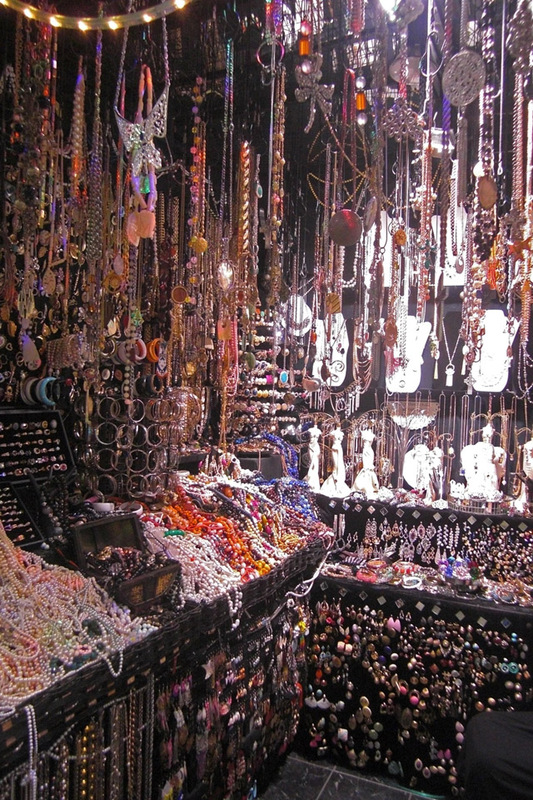 Although the proprietor was in frail health, it was obvious that she took joy in both the collecting and selling, and in simply sharing the delight to be found in a string of sparkly beads.